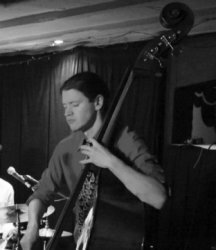 I am a professional bassist playing a range of different styles from jazz to folk and classical. I teach intermediate level double bassists onwards on proper technique in arco, pizz and left hand intonation. For electric bass I teach techniques like slapping and tapping as well as solid practice techniques and right and left hand exercises. I also teach music theory for bassists, as well as jazz theory, chord chart and sight reading and concepts for bass soloing. I aim to create strong voiced well rounded musicians who play the bass. I use exercises to develop confident playing, especially with regards to intonation on the double bass.